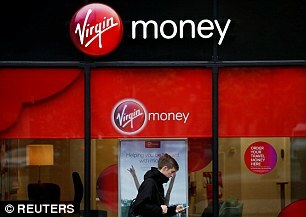 Virgin Money has upped its Double Take E-Saver to 1.36 per cent. Interest rates on easy-access accounts with withdrawal restrictions are edging up for new savers. It allows two withdrawals a year. After this, you can’t make any more or close your account till the next calendar year. Sainsbury’s Bank’s new version of its Defined Access Saver, at 1.35 per cent, allows three withdrawals a year. Make any more and it falls to 0.5 per cent. Money Mail does not include accounts with withdrawal restrictions or initial bonuses in our best buy tables, but we keep you up-to-date here with top rates. Goldman Sachs will soon offer an online savings account. It says it will be simple and easy-to-use.